Add these to our core service and supercharge your practice marketing! We guarantee you will love your new practice website! If not, we will refund your setup fee, no questions asked! How quickly will my website go live? It typically takes 30 days for your new site to go live. You will have the ability to export your data at any time. This includes your content, images, and requests. What if I don’t like my new practice website? We work hard to make sure we create websites customers (and patients) love. If we can’t get it right, we’ll refund your setup fee, no questions asked! Yes, if you ever decide to cancel your monthly subscription, we’ll send you your website files & data (content, images, appointment entries). 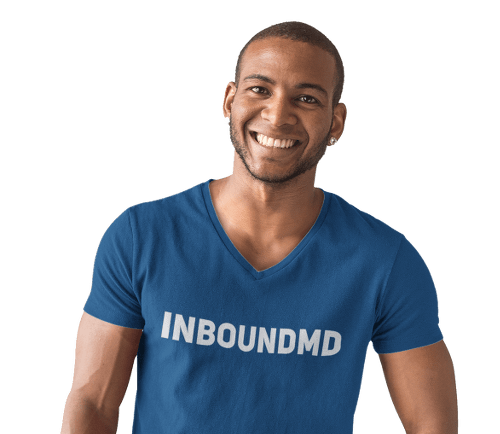 You will not have access to the InboundMD platform or marketing dashboard. Live phone support is available Monday-Friday 9am-5pm EST. Email and chat support is available 24/7, with responses sent within 4 business hours. Most issues and requests are resolved inside of 72 hours. How do I get photos for my new site? We will send you an iPod Touch with photo instructions & a return shipping label. You take photos and videos & send back. We’ll take care of the editing! Alternatively, we can coordinate a professional photographer to come take shots, at an additional charge. Beyond technical support, how can I get ongoing help? You may contact our support team for help & training on how to use the dashboard, general internet marketing questions, and to request updates/changes to your site at any time. If you’ve purchased additional marketing services, you will have access to a dedicated marketing consultant who can assist you further. We never share your data or your customers’ data with any third party without your consent. We will only see any data that is required for us to execute on any services purchased or to resolve a support request.